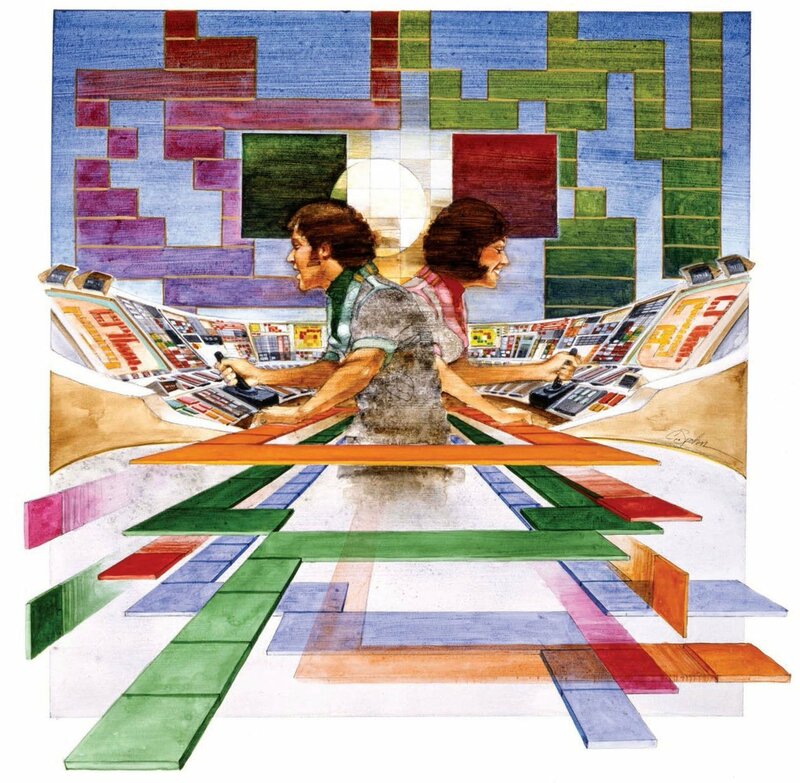 Cliff Spohn art for the Atari 2600 game “Surround,“ 1977. 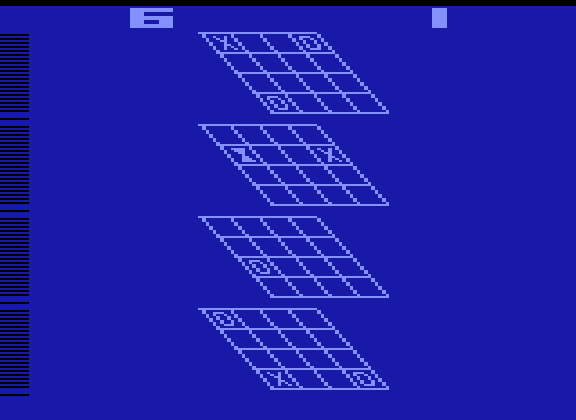 Surround, released in 1977, was one of the first games for the Atari 2600 (Atari VCS at the time). It was one of the nine launch titles for that system and comes from an era before there was any 3rd party development for that platform. This was a fairly simple game in which you moved a block around the screen leaving a trail behind you. The goal was to make the 2nd player (a real person or the computer) run into this line. While a very simple game, several game variations and somewhat addictive game play make this a pretty good early Atari 2600 game, at least in terms of fun if not in terms of graphics and sound. It would go on to inspire many similar games in later years (Serpentine for the Commodore 64 was one of my favorites). This game also had a “graffiti” mode in which you could simple draw on the screen. Other game variations include various speeds, diagonal movement, the ability to wrap around the screen, etc. Finding re-releases of the original is pretty easy as it has been included in a number of compilations and in downloadable form for some game consoles. It is also included on various Atari Flashback units. If you prefer an original cartridge, those are also pretty easy to come by and aren’t too expensive. 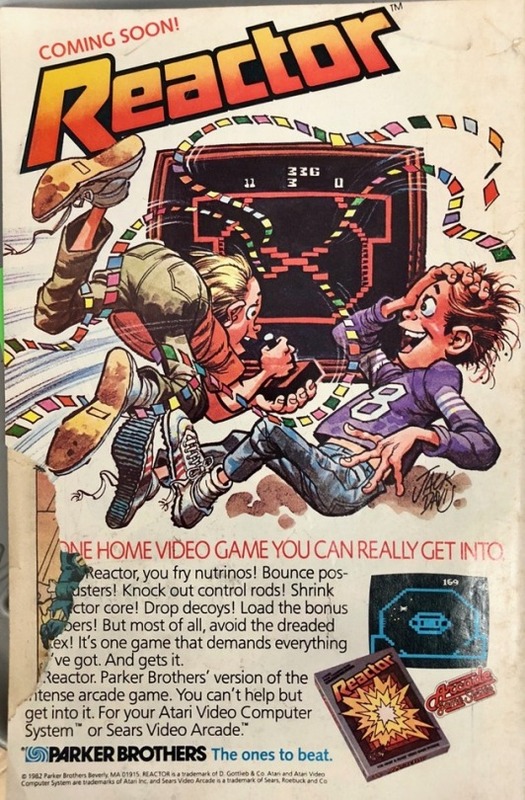 As one of the original releases and a pretty fun game, especially with a friend, this is probably one you should have in your Atari 2600 collection. 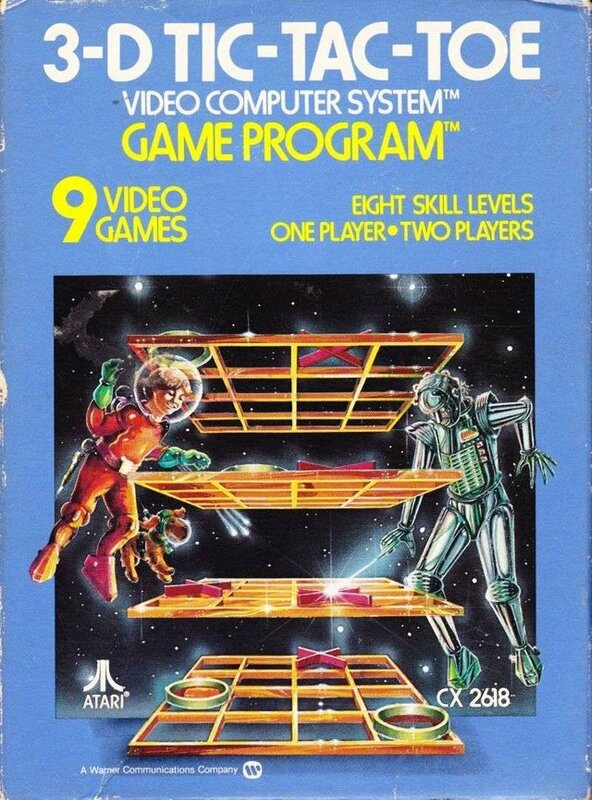 The image at the top is the artwork used on the box, manual and label for the game. As you can see, quite a bit of imagination was used. The game graphics are just a tad simpler as seen in the screenshots above.